Ok, so when I first found out about this whole pregnancy thing, I swore up and down I wouldn't buy more than just a few pieces of actual maternity clothing. Just a pair of jeans, some work pants, and maybe a top or two. I mean, who wants to drop a ton of money on clothing you're only going to wear for a couple of months, tops?? Well, I managed to get away with not buying anything other than a few basics for my first trimester and part of my second (during which time this hair tie-and-jeans hack was a huge save! ), but once I hit five months, that plan went out the window--I finally had to pony up for some REAL maternity clothes. And since then, I've felt a 100x more comfortable and like myself. Luckily, since I live in NYC, I've been able to take advantage of a couple of summer sample sales, but I've also found plenty of gems online, and wanted to share a few of my fave maternity brands and stores. 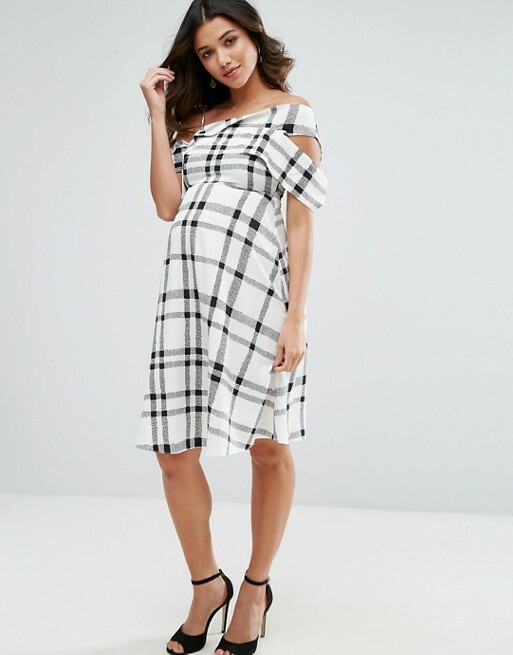 I've always been a fan of ASOS.com, and thanks to their $40 minimum on free shipping/returns, it's pretty much been my go-to for maternity clothing. I found the comfiest pair of maternity jeans for $28 (similar in style to the pair pictured above!) on ASOS, and even scored a gorgeous evening gown needed for a wedding on sale for just $38. If you're preggers and have a formal event coming up, I'd definitely recommend checking out the ASOS maternity sale section for a ton of budget-friendly options, but the site's also a winner for everyday basics like jeans, leggings, etc. So, Hatch is at the total opposite end of the price spectrum from my other picks, but before you click through and get sticker shock, it's important to point out Hatch's clothing is designed to be worn during pregnancy, as well as after. I discovered Hatch at a sample sale event, so I was able to score a cute top and a mint green swing dress (at the top of this post!) for just around $20 and $40, respectively, though the brand's regular pricing is wayyyy above that. Still, if you're looking for high-quality pieces that you can keep wearing long after you've given birth, I'd definitely recommend checking out Hatch, and their sale section, in particular. I've been wearing my Hatch dress non-stop this summer (the fabric is so super soft, and it has pockets!) and I love the fact I can plan on breaking it out next summer too. 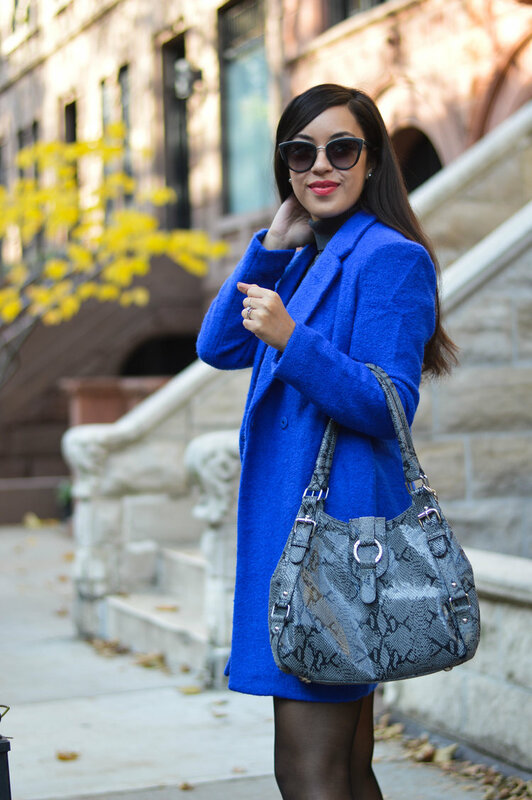 Leota is another brand I discovered via sample sale, meaning I was able to snag pieces at a deep discount, but it's still one I'd recommend, especially if you have to dress up for work everyday. While the brand's main site doesn't have a dedicated maternity section, there are plenty of their maternity pieces on sale via various retailers online. Leota's maternity dresses are slightly modified versions of their signature jersey dresses (so comfy! ), which are basically perfect for the office. Plus, for the quality, they're still relatively affordable, with plenty of cute options priced at around $50-$80. I've got two Leota maternity dresses, and I can vouch for the fact they're a super easy way to look put-together and profesh at the office without having to get too fussy. Ok, so this is one is fairly obvious--Motherhood is a huge brand, with stores all over the U.S., and is definitely more of a traditional maternity retailer than my other picks. But I have to include it because I found THE comfiest pair of maternity pants at Motherhood, and it will be so, so hard to go back to regular pants after this pregnancy is over. Seriously, get thee a pair of their Ponte Skinny Maternity Pants ($35) and thank me later!